Say you’re at a professional networking event and you strike up a conversation with someone you’ve never met before. They tell you a funny, engaging story about a recent trip. It’s a pretty good story, so you ask about details and specifics. After the story is over, you exchange minor pleasantries and part ways. Who made the better first impression: The person who told a funny story or the person who asked a lot of questions? New research from a team of Harvard psychological scientists suggests that asking more questions—and in particular, asking more follow-up questions—increases people’s positive impressions. Previous research, such as APS Fellow Arthur Aron’s classic study on 36 questions, typically relies on participants asking a series of predetermined questions from a list. Huang and colleagues wanted to find out what would happen when people were prompted to ask questions in a more open-ended way. Previous research on question-asking has shown that, especially when meeting someone new, people tend to talk to about themselves – a lot. In a situation like a job interview, applicants try to highlight their strengths by talking about them. However, as Huang and colleagues’ recent study showed, talking about yourself may not actually be the most effective strategy for selling yourself. In a 2015 study published in Psychological Science, Duke University researchers Korrina Duffy and Tanya Chartrand found that extraverts were more likable than more introverted people not because they talked more, but because they were better at mimicking other people’s body language. Neither partner was aware that the other person received different instructions for the conversation. After chatting for 15 minutes, both participants answered several questions gauging how much they liked their conversation partner and the degree to which they thought their partner liked them. Participants’ ratings of each other showed that those who were told to ask a lot of questions came across as more responsive, and therefore more likable, to their conversation partners compared with those who were told to ask few questions. However, a second study suggests that the link between questions and likability may not extend to people observing the conversation from the outside. Another group of participants read transcripts of around 170 conversations from the study, and were then asked to rate how much they liked each one of the partners. These third-party observers actually liked the people who asked fewer questions better compared with people who asked more questions. To find out whether some types of questions aided likability more than others, the research team analyzed the chat conversations using a natural language processing algorithm (ChatPlat). 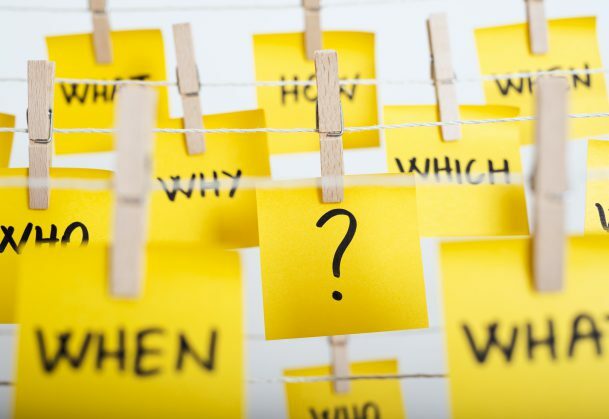 The researchers caution that asking too many questions could backfire, and asking the wrong kind of question, rude or too repetitive, could also hurt likability. “Although most people do not anticipate the benefits of question-asking and do not ask enough questions, people would do well to learn that it doesn’t hurt to ask,” Huang and colleagues conclude.